Valentine's Day is right around the corner & what better holiday to give your sweetheart a sweet treat!? I couldn't wait to prepare a yummy desert in my new heart-shaped silicone cake mold/pan from Siliconezone! Siliconezone's flexible, non-stick, high heat tolerant heart cake pan allows for even cooking & is perfect for making cakes, brownies & more! So cook away this Valentine's Day, you can put the Siliconezone heart pan in the microwave, freezer & finally the dishwasher for easy breezy clean-up! So what do you have planned for your sweetie this Valentine's Day? Why not make it a little sweeter with the Siliconezone heart pan! Doesn't that look yummy? My daughter thought these heart shaped brownies were the neatest thing ever, I can't wait to bake more goodies in my new Siliconezone heart pan! Buy it: Purchase the Siliconezone Large Heart Pan online! 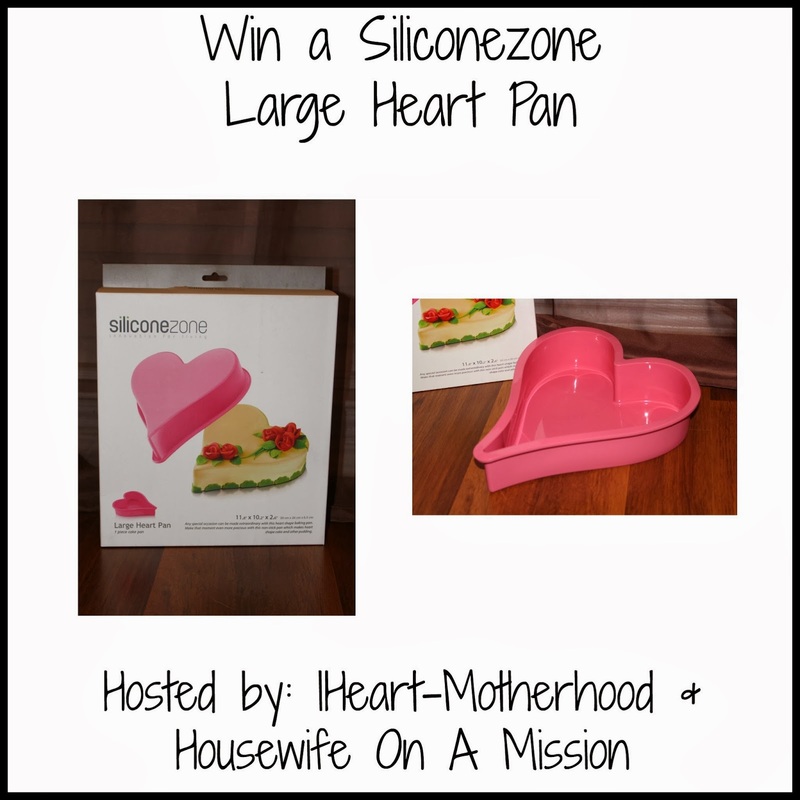 Win it: One lucky reader will win the Siliconezone Large Heart Pan featured above! This giveaway is open the US only, ages 18 & up. Ends on 2/7/14 at 11:59 PM EST. Enter using the Giveaway Tools form below. Good Luck! Disclosure: IHeart-Motherhood is not responsible for prize fulfillment. Siliconezone is providing the product and not running the giveaway. I'd like to bake brownies and cornbread with this pan. I would like to try a cheesecake in it. I would make rainbow cake,cornbread,potatobread,bananabread,carrotcake,and cheesecake. I would make brownies.My family is not much of a cake family but love brownies!!! I would use the pan to bake a chocolate cake with white frosting, decorated with red icing hearts! I would make a cake for valentine's day. We are planning to stay home, i usually make something heart shaped for dinner or dessert. I think I would have to bake brownies or perhaps my famous pineapple upside down cake. What a cute pan-thanks for the giveaway! I would bake a cakes in it for my family. I would make a german chocolate cake! I'd bake brownies with it! I'd bake a chocolate cake. I'd love to make a chocolate cake with pink frosting! I would bake brownies and cakes. Maybe a cookie cake? I would bake my hubby's favorite yellow butter cream cake. I would make a big walnut brownie for my Husband for his Birthday. I would bake a cake, along with cake pops for Valentine's day for my 2 yr. old granddaughter! I would make cheesecake brownies for my hubby of 23 years! I would bake to my Hearts content...LOL - could make a strawberry cake hubby loves them, or perhaps a carrot cake, and give him my heart again after 45 years.. I think he knows, could also use it for a gelatin mold, and even to make JELLO.. lots of uses for that beautiful pink heart. I'd make a Banana Cake in the pan! MY CHILDREN LOVE GERMAN CHOCOLATE. My hubby loves brownies, so I would make him some. I would bake a chocolate cake with chocolate frosting!! I'd make a double chocolate ooey gooey butter cake! I would bake a strawberry cake with lemon frosting. I would bake a vanilla heart shaped cake and use strawberry frosting! YUM! I would bake acchocolate cakevwith pink frosting for Valentines day. I'd make a two tiered cake! I'd bake a fluffy white valentine cake w/pink coconut icing. THis would be fun to use to bake brownies. I would make a black forest cake!!! I'd make a brownie! and attempt at decorating it. I would bake walnut brownies. I would make a red velvet cake for valentines. I would bake my husband his favorite type of cake, red velvet, which would be perfect in a heart shape! I would bake my husband his favorite cake, red velvet, perfect in a heart shape! I would make cake, brownies and cheesecake with this awesome heart shaped pan! Thank you for the chance! I'd first make brownies for my kids--my 7 year old would especially love the extra special attention! I would make chocolate cake!!! I would make brownies with pink icing! I'd bake brownies & cakes in it. My oldest daughters birthday is 3 days before Valentines day and I think she would love a heart shaped cake for her birthday. A Red Velvet cake with red or pink icing for my hubby! I would bake a lemon cake in it. I would love to do a raspberry swirled cheesecake for my husband for Valentine's Day. Then I would do a red velvet cake for my girls for Valentine's Day. This would be so much fun to use all the time!! I would bake some Red Velvet Cheesecake Brownies for dessert! A nice cake to celebrate the holiday! I am going to spend it at home with my family, my husband usually cooks dinner and I buy or bake dessert! I would like to bake a brownie with the heart shaped pan! I would bake brownies or a cake. I would love to use this to make brownies in the shape of a heart!! This is great for Valentine's Day! I would make a white cake with pink frosting for Valentine's Day. then I'd make some brownies. I love to try different decorating styles and it would be so fun to try on this heart shaped cake. I would make a cake and some rice crispys! I would make a brownie with red or pink cream cheese frosting. I would let my daughter help me make brownies for daddy! I would bake a cake for my daughter's first bday! I would also use it to bake various breads throughout the year. I would bake a red velvet cake. I would make cake, brownies, cheesecake or cheesecake with brownies. I am starting to learn how to not anything when baking... so I would love to make my two loves (husband and daughter) a nice chocolate cake with a flan on top of it. I'd bake a chocolate Valentine's Day cake! I'd make a rainbow white cake! It's a toss up, but I would bake brownies or angel food cake. I would make brownies!! YUMMY! I would make a French Vanilla cake with whipped milk chocolate icing. I would make an ice cream cake with cherry chocolate chip ice cream and chocolate cake! Yum! Tough choice, either brownies or red velvet cake. I would bake a carrot cake because its my hubby's favorite! I'd make an apple cake. I'd make carrot cake with cream cheese frosting. I would love to surprise my husband with a heart shaped cake on Valentine's day. Love it! This is so cute! I'd love to make a red velvet cake in it. I would bake a red velvet cake for my family. I would bake a chocolate cake!! I would make yellow cake with buttercream icing! mmmmmm! I'd bake brownies from Trim Healthy Mama! 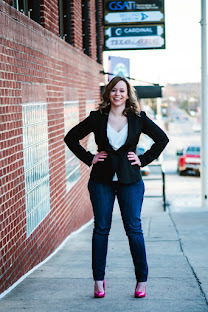 I would bake a Chocolate Cake, which is my Family's Favorite! Thanks for the chance to win! Well, since my bday is coming up I'd make my birthday cake in it! Chocolate w/chocolate frosting and the cheesy store bought candies = YUMMY! I would like to make brownies and probably corn bread. I would make some carrot cake (my husband's favorite)! I would make a chocolate cake with chocolate frosting for my sweet son who loves chocolate! I would have to make brownies! My family would love that! I would make red velvet brownies if I won the pan. I would bake a brownie heart, then top with strawberries, chocolate syrup , and whipped cream. A birthday cake for my son since his birthday is right before valentines day. I would make a strawberry cake with cream cheese frosting. I would love to make a chocolate fudge cake... then dust it with a little powdered sugar through a lace doily. My hubby loves my meatloaf so yeah for Valentines day I think I would make him a heart shaped one with this pan. I recently saw a recipe for a giant cookie (they did it heart shaped, of course) so I would make that recipe and put it in this heart if I won! I would use it for a cheese cake, a chocolate pudding cake and an ice cream cake. I would make dark chocolate brownies. I would make a Strawberry Cake..yummy! I would bake a red velvet cake for my son since it's his favorite. I would make gluten free brownies in it. i would make my hubby a heart shaped meatloaf first.. then brownies with caramel!! I would make a red velvet cake. I'd make a chocolate cake. a basic cake to decorate with coconut for my husband's Vday cake. i would bake chocolate brownies in it! I would make my mother a birthday cake with it since her birthday is on valentines day. I would bake a strawberry cake for my hubby and kids! I would bake a giant chocolate Chip Cookie Heart with this pan. what wouldn't I bake! but first... brownies! I would bake brownies and cakes in it. I would make a strawberry cheesecake! I would make a valentines frosted brownie. i want to make a yellow cake and frost it. it would be nice to make for hubby. I would bake a Chocolate Cake with Chocolate Frosting for my boyfriend & his brother! make a cake for valentine's day. I would make a giant brownie with it. I would bake a strawberry cake. Long time dream of mine: I wanted to make my mother on her birthday - Valentine's Day - a brownie cheese cake combination! This would be a challenge being I only have use of one hand after being involved in an accident! But it might bring that smile that everyone loves when she see's that as her gift with the "heart pan", which will symbolize the size of my love and appreciation for all she does. Thanks for the giveaway… a Valentine's Day Brownie for our daughters. I would bake a cute peanut butter brownies! !